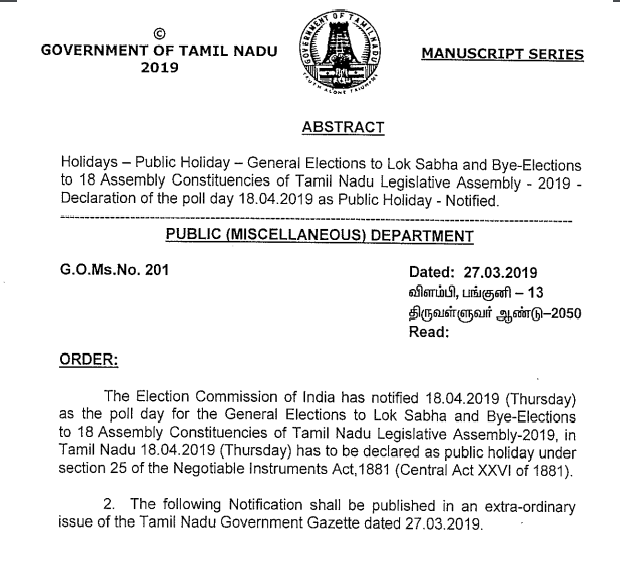 According to the GO, the Election Commission has notified that the poll day for General Elections to Lok Sabha and Bye-Elections to 18 Assembly constituencies in Tamil Nadu be declared as “public holiday” under Section 25 of the Negotiable Instruments Act, 1881. 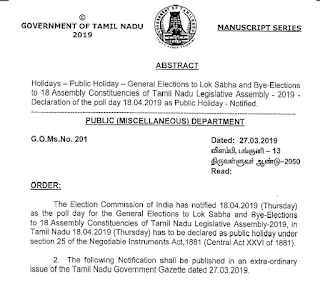 “The Governor of Tamil Nadu hereby declares April 18, the date on which the polls for the General Elections and bye-elections to 18 assembly constituencies will take place in Tamil Nadu, to be a public holiday”, the order issued by chief secretary Girija Vaidyanathan said. 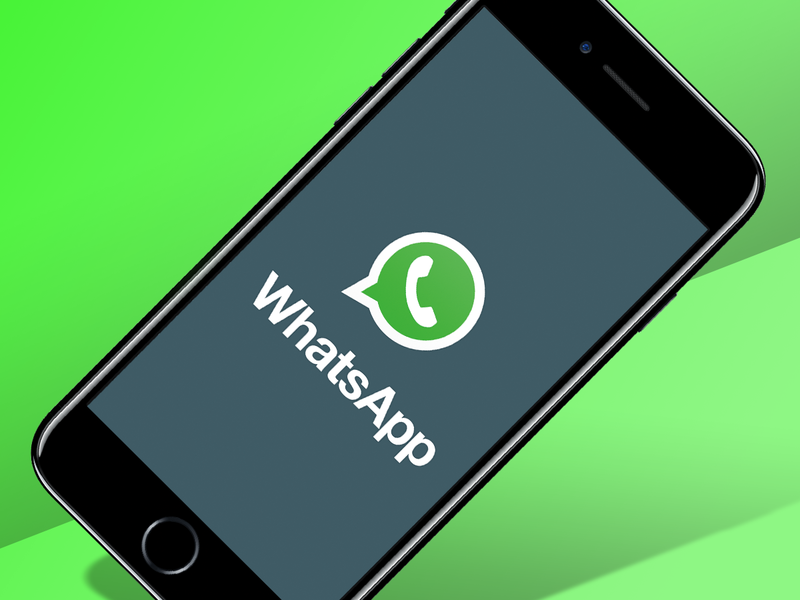 Elections to 39 Parliamentary seats Tamil Nadu will be held on April 18 in a single phose polling. Tamil Nadu votes in the second phase of the seven-phase elections to a total of 543 Lok Sabha seats. The AIADMK-led National Democratic Alliance (NDA), its rival DMK-led Secular Progressive Alliance (SPA), actor Kamal Haasan’s Makkal Needhi Maiam and TTV Dhinakaran’s Amma Makkal Munnetra Kazhagam (AMMK) are the main contenders in the polls, making it a four-cornered contest.